As an operator of a TowBoatU.S. rescue and towing boat, I have responded over the last four or five years to a surprising number of assistance calls from boats that were sinking because a dripless shaft seal had failed and caused flooding. The use of dripless shaft seals has become widespread in the past decade, and, unlike traditional stuffing boxes, when a dripless shaft seal (DSS) fails, the resulting flooding is at least alarming and often catastrophic. My goal here, as a boat owner and a trained mechanic, is to review the ways in which I&apos;ve seen DSSs fail and to offer some general suggestions about how to prevent such problems in the future. There are a number of manufacturers of dripless shaft seals, and therefore a variety of designs exist. Most of these units use what&apos;s called a face seal, with a flexible bellows attached to the stern tube (or stuffing box collar) that presses a fixed carbon/graphite flange against a rotating stainless-steel rotor which spins with the prop shaft, creating a seal between the rotor and flange. Dripless seals are popular because they don&apos;t require adjustment after installation, and they continue to keep sea water out even if the drivetrain is out of alignment. Some DSS products use setscrews to hold the rotor in place. If the screws lose their grip, the bellows can slowly push the rotor forward on the prop shaft. 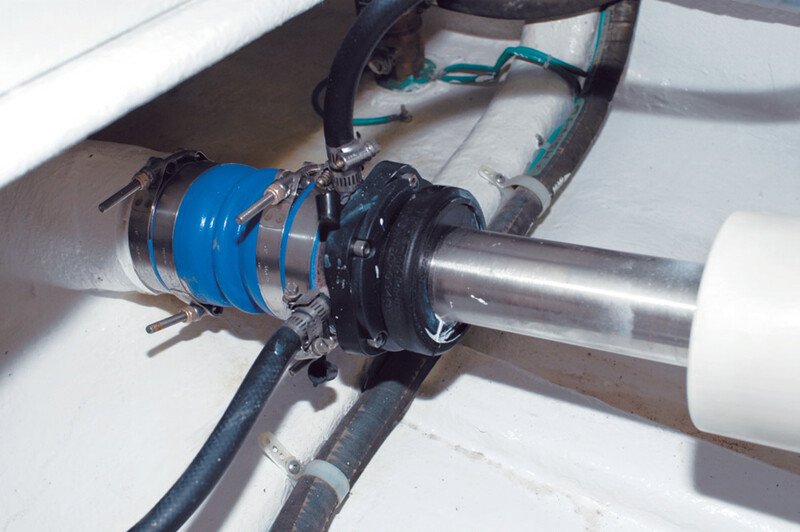 Once the bellows is relaxed, the mechanical seal between the rotor and flange is lost, and sea water can flow into the bilge. This happens more often than one might think. According to one manufacturer&apos;s instructions, the setscrews are never to be reused, and a new set of screws should be used each time the rotor is installed. That alone is likely the cause of many of the problems I&apos;ve encountered, as most owners and yard workers assume they should reuse the setscrews after work that requires the seal to be removed. 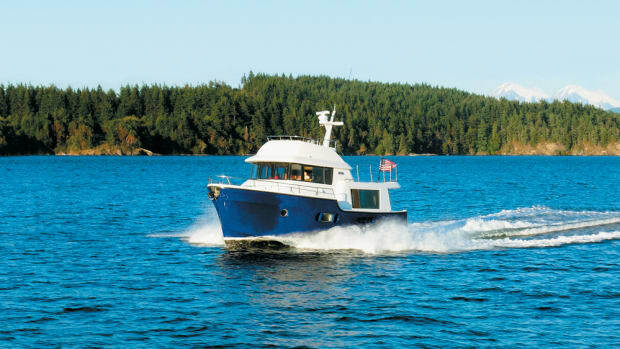 I made this mistake on my own vessel, a 40-foot Marine Trader Sedan, and when I removed the setscrews for the second time, the inner screws were surprisingly loose. Another issue with a spinning rotor is that the flange and rotor are so well mated that there is a suction effect between them, and the rotor can actually stretch the bellows beyond its relaxed position before the seal is broken. So, when the bellows finally returns to its natural, relaxed position, a tiny space is left between the flange and rotor. One assistance call I responded to involved a 46-foot powerboat whose owner couldn&apos;t find the source of the water that was flooding his boat; all he knew was that his pumps weren&apos;t keeping up. I found that the rotor on the starboard shaft was about 2 inches forward of the bellows and flange. Even after I removed the four setscrews, which were on tight, I had to use a hammer to move the rotor back to its proper position. Once the rotor was resecured, the DSS worked fine. How could the rotor have gotten so far out of place and still been tight on the shaft? The owner denied that he had hit something, but he did say that he&apos;d had to back down hard to avoid another boat. Could that have been enough to move the shaft in the transmission coupling? If the shaft had been loose in the coupling, then a situation calling for hard reverse could have drawn the shaft aft, but perhaps not completely out of the coupling. If the coupling was longer than the distance traveled by the DSS bellows, then, as the shaft traveled aft, the collapsed bellows would have forced the rotor farther forward on the shaft. Once the engine was back in forward gear and power was increased, the shaft would have slowly worked its way back into the coupling, but the rotor would have moved forward with it. This sounds like an unusual chain of events, but I was unable to find any other explanation for this unusual condition. The key to preventing setscrew and rotor movement problems is to place a hose clamp on the prop shaft up against the forward face of the rotor, so that even if the rotor works loose, the hose clamp will prevent the rotor from moving away from the flange. I have seen enough rotor movement over the years that I normally ask marine surveyors to add the request for an extra hose clamp to their recommendations during a survey. The bellows performs two functions: it creates a watertight barrier between the stern tube and the interior of the boat, and it acts like a spring, pushing the flange against the rotor. Problems associated with the bellows are related to fatigue, mechanical abuse, or improper installation. Fatigue of the bellows can occur as the bellows material deteriorates over time. Exposure to heat, vibration, and accidental spills of fuel and fluids can take their toll on the bellows. The material can become brittle with age, and a close inspection might reveal cracks, splits, or tears. These problems may not be readily apparent on the surface of the bellows. For a proper inspection, at the very least the rotor should be moved a few inches out of the way so that it can relax and stretching and twisting can reveal any cracks or splitting of the material. As a general rule, if the shaft is removed, a new bellows should be installed. The second form of fatigue consists of what I call "compression fatigue": the bellows loses its resistance to compression after years of being in a compressed state. As a result of compression fatigue, the pressure between the rotor and flange will be reduced, which will diminish the mechanical seal. Eventually, it will begin to leak. An older bellows, when allowed to relax after years of compression, will typically not completely expand to its original shape, and it will be shorter. On my own boat, I marked where the rotor sits on the shaft. Last spring when I relaunched, I noted that the rotor now sits a little farther aft, which confirms my theory that the bellows is shorter. My DSS is now three years old and was allowed to relax only for a few weeks during the off season. Mechanical abuse of the bellows includes overtightening of the hose clamps (which might crush or tear the material) and being hit or stepped on. I once responded to a case in which a metal toolbox had flown loose and hit the bellows, putting a 3-inch gash across it. It was almost impossible to make a decent temporary repair to the bellows, but, with tape and plastic, we managed to stem the flow to a slow drip, and the boater made it back to his home port and immediately hauled out. Having faced many of these issues while assisting boats in the waters around Rhode Island, and previously in Southern California, I believe there is much misconception in the cruising community about the need for DSS maintenance, which brings me to the most important point of this article. I believe too many boaters have a sort of "set it and forget it" attitude about their shaft seals, and they don&apos;t realize the consequences of ignoring an ageing or damaged unit on their vessels. While a DSS may be "dripless," it is definitely not maintenance free. Here is what some manufacturers have to say about the importance of maintenance. The instructions for the PSS Shaft Seal state, "The PSS bellows must be inspected on a regular basis (i.e., no less than at least every six months under most circumstances) and checked for any signs of deterioration (cracks, splits, tears, brittleness, or other signs). Upon any sign of deterioration, the bellows must be replaced. As preventive maintenance, the bellows should be replaced no less than every six years, regardless of its apparent condition." Lasdrop says of its shaft seals, "The Original Bellows and Generation II models will last as long as eight to 10 years before servicing...The bellows on the Original model should also be inspected and replaced, if necessary." This is information that every boat owner with a DSS unit should heed. In most of these installations, the water injection hose runs unsupported from the flange to a nearby stringer, floor, or bulkhead, where it is attached. It is important to use underwater-rated hose, which is quite durable but also flexible. Older-style packing glands and stuffing boxes may be a pain in the neck to maintain, but they are easy to juryrig in an emergency repair. If all the packing somehow falls out or disappears, you can use an old rag, some greasy rope, or pages ripped from Chapman&apos;s to repack the gland and slow the flow of water to a manageable rate. You can stand on a stuffing box, whack it with a pipe wrench, paint it, spray WD-40 on it, curse and throw bricks at it, and still, it will drip only a little bit. The modern DSS is more delicate, and the bellows in particular can be difficult to patch or repair, especially when cold sea water is squirting out of it. However, from my perspective as a trawler owner and towboat operator, a brand new dripless shaft seal, properly installed, will do exactly what the manufacturer claims it will do: provide a vibration-tolerant, drip-free stuffing box. Be sure to read and follow the manufacturer&apos;s installation and maintenance instructions, and keep the literature close at hand so that it will remain in your mind as you perform routine maintenance in your trawler&apos;s engine room.